We are all exposed to harmful UV radiation from the sun, whether it is sunny or cloudy. The effects of UV on skin are well understood but the ocular risks of sun exposure and the need for eye protection is less well known. 80% of our lifetime exposure to UV happens before the age of 20 as children spend so much more time outdoors and the clarity of the lens in a young eye allows more UV light to penetrate to the retina than the lens of an adult. Protecting yourself and your children from the effects of UV rays is easy - just by wearing sunglasses offering 100% UV protection. 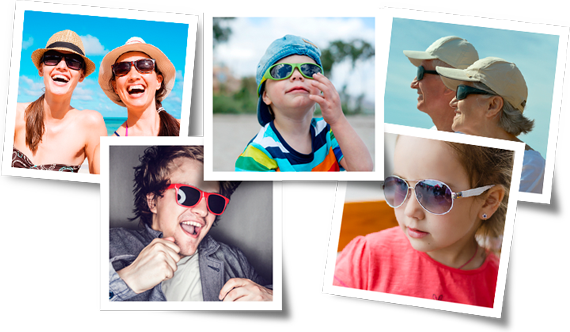 We stock a wide range of sunglasses, for all budgets, many of which can be glazed with your prescription if required, even sporty wrap around styles. ....and do you get tired, have red eyes or headaches? Then you may have Visual Stress, also known as Meares-Irien syndrome. 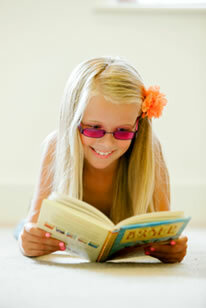 At Erskine Eyecare we can reduce Visual Stress by using colour filters. The colour is specifically selected to suit you. We do this by carrying out a colour overlay assessment using our Intuitive Colourimeter. If you are interested in working at Erskine Eyecare please fill out the form below, attach your CV as a pdf file, and send. We look forward to hearing from you. Choose... Dunblane Bridge of Allan Auchterarder Please select an branch. --01 02 03 04 05 06 07 08 09 10 11 12 13 14 15 16 17 18 19 20 21 22 23 24 25 26 27 28 29 30 31 --January February March April May June July August September October November December --2009 2010 2011 2012 2013 2014 2015 2016 2017 2018 2019 2020 2021 2022 2023 2024 2025 2026 2027 2028 2029 Time... 9 am 10 am 11 am 12 noon 1 pm 2 pm 3 pm 4 pm Please select a time.